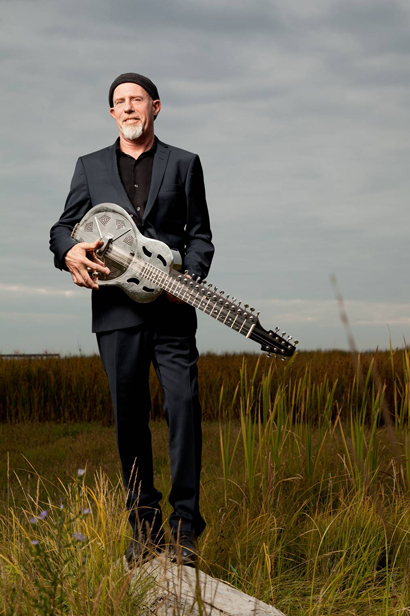 After releasing nine albums in nine years, it was high time for a “Best Of” CD from internationally acclaimed HARRY MANX. Featuring Harry on the 20-stringed Mohan Veena, acoustic slide guitar, lap steel, and banjo, this essential “desert island” collection contains fifteen tunes (thirteen original songs and two cover tunes) that represent the evolution of a highly unique musical style that fuses Eastern sounds, Western blues and acoustic folk. Manx is a prolific artist, releasing nine albums in an eight-year span with no signs of stopping. He has received seven Maple Blues Awards and his mantel shelf also holds honours from the Canadian Folk Music Awards, Vancouver magazine Georgia Straight, and the South Australia Blues Society. He received CBC Radio’s Great Canadian Blues Awards for 2007 and his albums have garnered five Juno nominations.